The Hill Country last fall. A country row of cottages and special fences. Wouldn't you love to live in a neighborhood like this? Split rail with cross members in an X design travels all along the cottage row. Love the bushes growing along the way. Special views through the trees. I think I might add shutters to the windows if I lived here. This stone stacked fence has great cottage charm, don't you think? Another inviting old home surrounded by an open split rail. Evenings on the porch would be so special! Thank you for stopping by to visit this week. I especially like the stone wall. What sweetly unique little places; thanks for the smile! Hello, I like the row of cute cottages and fences. The trees are pretty too. Looks like a lovely neighborhood. Great fence finds, have a happy day! Happy 4th of July to you! Celeste, I love the stone wall! I would love to have a stone house too. These cottages are so sweet and tranquil. It's almost as though you stepped back in time. Have a fantastic fourth, sweet friend! Love the cottages and the fences! I like the Hill Country fence views . . . The stone fence would be my favorite but oh my, imagine the time it must take to build a stone fence. Wow, you took these views to higher places, I like your photography! One of my favorite places to visit, Hill Country. What a nice post on these lovely little homes with great fences. It all looks so peaceful! Dear lady I love to visit your blog. I like that last "ranch"
definitely one of the cutest neighborhoods! 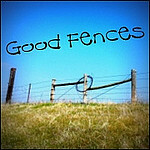 Hi Celeste, my dear friend, again you found wonderful and very special fences! Celeste a very tranquil photo essay of gorgeous peaceful cottages and fences. Although the stone fence is my favorite, all of them have charm and character. All are wonderful fence choices. You find the best fences to share. That stone wall was my favorite, though. Love the fences and those cottages are full of charm. Happy 4th. Very charming cottages and fences. Is this a particular area where they just built cottage style homes? It's really cute. love those rustic split rails in your first images. they are my fav kind of fence. all your pics are pretty. Very charming homes/fences, Celeste. That house does need shutters.....we have had wasps to make a nest behind one of our shutters! Yikes! I'd love to have the stone fence. I love all of these fences! They have such character and the houses are personality plus. I have to say my fav is the X fence. It's so Williamsburg! Hope you and LJ have a safe and happy holiday weekend! I love the stacked stone fence! You don't see many of those. Well, I don't think we have any like that here in MI! It makes me think of the miles and miles of stone fences we saw when we visited Ireland years ago. Thank you for sharing, and happy 4th! at group of different fences. Thanks for sharing. I just love those stone walls! I adore the old split rail fences!! Great images....split rail [the open kind] is one of my favorite type fences. All your finds are super. I enjoyed reading your narration along with each type also. Hi dear Celeste. You always find special and amazing fences. We had one of those cross hatch fences when we were stationed in the Air Force in Michigan, behind our housing complex was some woods so my hubby went out and found trees that had fallen and dragged them back it was really neat. You find such great fences to photograph! They would all make great paintings! All the fences look great and yes, I would add shutters to that house also. I would also put lots of rocking chairs on the the house with the wooden fence and ferns. Love the pics of the houses and the fences!! I love the charm of fences of all kinds and this is such a wonderful idea to feature each week, Celestina! Thanks so much for stopping by and I hope you're having a wonderful summer!